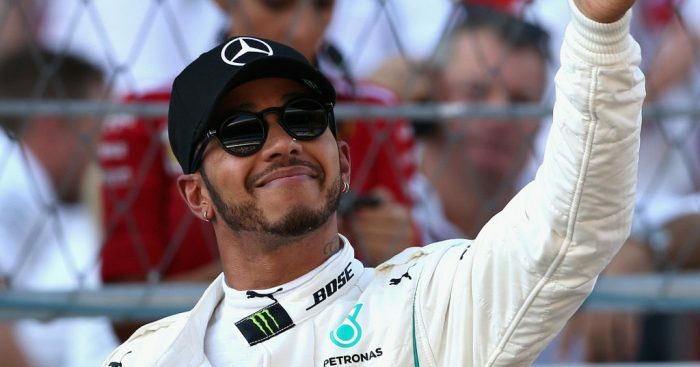 Lewis Hamilton has proven he is a “class act” as he closes in on a fifth Drivers’ Championship title, says Mercedes boss Toto Wolff. Hamilton can wrap up the title this Sunday in Austin having moved out to a 67-point lead last time out in Japan where he took his ninth win of this season. He only needs to outscore Sebastian Vettel by eight points meaning a fifth Austin win will be enough if Vettel finishes third or lower. His boss his full of praise for his driver’s talent. “While we didn’t have the fastest car in the summer, we’ve seen the performance swing in our favor recently; however, it is closer than it looked in recent races,” Wolff said. “Ferrari have a strong car and they will keep on pushing until the very last corner in Abu Dhabi. “They have been worthy opponents in the past 17 races and we have no reason to believe that this will change in the next four; just like us, they will fight fiercely for every point and position. “Two 1-2s in a row also show how well both drivers are performing. With six race victories in the last seven races, Lewis has shown what a class act he is. The boss, though, has reiterated that the championship is not over until the math says it is. “The battle is far from over, so we approach Austin the same way as every other race: take it one step at a time, focus on our job and make sure we bring performance and reliability to the track,” he said. “The Circuit of the Americas has been a good track for us ever since it was introduced in the F1 calendar, but past results have no impact on the current championship.